Today is the first day of Lent, and I’m starting a new Lenten Art series. 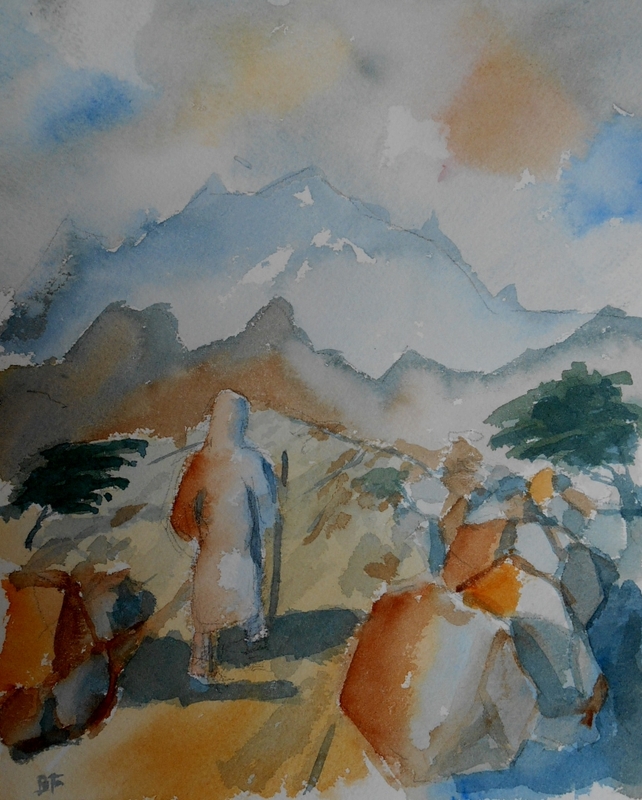 Here’s a watercolor of my imagination of Jesus being led by the Spirit into the desert. The desert is a severe place, a place of testing, but it’s also a place of great beauty. Lent is the great desert of Christian spirituality.